Saturday, September 15th, 2018 surrounded by his family. 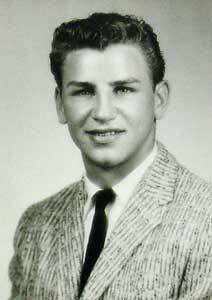 Dale or "Dave" as many also knew him, was born to Frances E and Dale C Crozier on December 18th, 1941 in Coffeyville, KS. The family later moved to Osawatomie, KS where Dave graduated from Osawatomie High School, Class of 1959. After graduating, he served two years in the US Air Force. Dave Married Janice Woolsey in 1962. Together they had three daughters, Lynn, Lisa J, and Lori. They made their home in Olathe, KS. He married Ruby House in 1984 and gained three more children, Steve, Randy and Lisa D.
Dave was an automotive mechanic and the owner and operator of Crozier Automotive in Olathe KS. He retired in 2002 and soon after, he and Ruby moved to Paola, KS where they could fish on the private lake in their backyard. Dave also enjoyed hunting, camping, bowling, woodworking, cooking and just tinkering about. Dave was preceded in death by his parents, Son, Randy Houghton, Son-in-law, Lonnie Hauschel, wife, Ruby and Brother, Larry Crozier. many more cousins, nieces, nephews, other family and friends. 504 Pacific St, on Saturday, September 29th at 1 pm. In lieu of flowers, please make donation to the Miami County Cancer Foundation.